Posted Tuesday, July 2nd, 2013 by Robyn Warner. Scrapbook your way through summer with these helpful printing tips. The summer season is the perfect time of year to jump into new hobbies and activities that you have been wanting to try out, but simply have not found the time. Whether you have some free moments on summer vacation with your family, you are looking for a fun activity to enjoy with your kids while they are out of school, or you are simply looking for a relaxing hobby to occupy the long, sunny afternoons, scrapbooking is one activity that is perfect for summer. Not only is summer great for scrapbooking because of the long, bright days that this season brings, but also because there are an endless number of activities that you can document and scrapbook month by month. For instance, your family 4th of July picnic, your child’s baseball or soccer game, afternoons out at the pool with friends, a family members wedding, and much, much more. As long as you have a camera and an eye for memorable moments, you too can create an amazing scrapbook. However, in order to properly preserve all of these wonderful summer memories for years to come and prevent photo fading, you need to make sure that you are following the right steps to ensure that you are printing long lasting, high quality scrapbook photos. To help you get started, here are four photo printing tips that will help you scrapbook your way through summer. Before printing out hundreds of photos to include in your scrapbook, you first want to make sure that you have purchased a printer that is up for the task. For instance, when printing photos that are specifically meant to be long lasting (for 40 or more years), it is best to stick with pigment ink printers. This is because the ink used by these printers will resist fading over time, allowing for crisper, sharper photos. When it comes to printing photos, the higher quality of the image, the better your photo will print out. When dealing with digital images specifically, you can improve the quality of an image by altering the Dots Per Inch (DPI) in a photo editing program. The higher the number of dots, the crispier and sharper your image will turn out. You should at least choose a DPI between 175-300. After you have made any edits or alterations to your photo, you may want to save it as a .TIFF or .PNG file, not as the default .JPEG or .GIF. This is because TIFF files and PNG files are very high quality image formats and will maintain the rich colors in your photos. Saving in a lower quality image format (which your computer will naturally default to) can actually compress the colors in your photos and cause your images to print out poorly. There is no point of using high-quality printers and ink if you are going to skimp out on photo paper. In order for your scrapbook photos to stay looking sharp over time and maintain their high quality and clarity, you need to choose heavy photo paper that is tested for aging. Most scrapbookers also choose to use matte photo paper over glossy photo paper so that their pages do not stick together or to the clear covers in scrapbooks, but it also depends on your personal preference and how you want your photos to look. 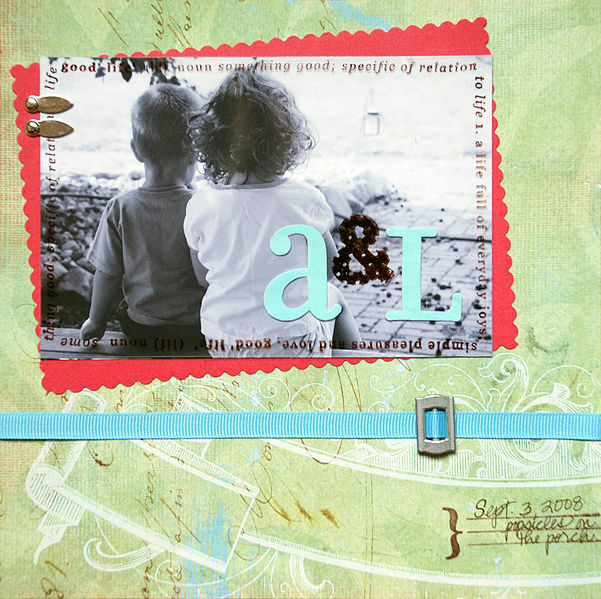 Do you have any more tips for printing high-quality images for scrapbooks? Leave your suggestions and tips below and we may feature some of the best answers in an upcoming blog or Facebook post! Also be sure to stay tuned for more scrapbooking tips all throughout the month of July as we help you scrapbook through the summer!